The "Euromaidan" events in Ukraine attracted the attention of Polish experts. The plan to sign an association agreement between Kiev and Brussels in Poland was regarded as the first step to a more complete implementation of the Intermarium Doctrine, which was especially popular after the First World War. According to the provisions of this doctrine, it was in Polish interests to promote the formation of a Union of States on the western borders of the Russian Empire whose elites would be orientated towards Europe, and show hostility to the Russian state (Poland, Hungary, Romania, the Balkan countries, Czechoslovakia, Lithuania, Latvia, Estonia, and others). This union was to extend from the shores of the Baltic to the Adriatic and the Black Sea, and due to the Polish transcription it got another name which was abbreviated to ABC (Adriatyk - Baltyk - Morze Czarne). Under the Intermarium Doctrine Ukraine was given one of the major roles. The pro-Western Ukraine was to significantly narrow Russia’s access to the Black Sea. That would mean that Ukraine's geopolitical function would be the same as that of Latvia, Lithuania and Estonia on the Baltic coast. During its existence, the ABC Doctrine acquired different formats, extending its conceptual and ideological frameworks, and then narrowing them again, depending on the political situation. In the 1970s, the Giedroyc - Mieroszewvski Doctrine appeared among so-called Polish émigrés, also known as the ULB (Ukraine - Lithuania - Belarus). It was a truncated and reformatted version of the Intermarium. If the first author of the Intermarium, Jozef Pilsudski, correlated it with the old Polish–Lithuanian Commonwealth in territorial size before it collapsed in the 18th century, and which considered lands in Lithuania, Ukraine, and Belarus as indisputably Polish, then Jerzy Giedroyc and Juliusz Mieroszewvski called for recognition of Lithuanian Vilnius, Ukrainian Lviv, and Belarusian Grodno. In other words, the first dreamed of creating a utopia, and the second one called for an acceptance of the real political situation. It was the conviction of Mieroszewvski and Giedroyc that Poland, by “giving “ in the ideological sense of the word, a national identity to these lands in Lithuania, Ukraine and Belarus, they would be removed from Russian influence as a consequence, and by supporting local nationalist tendencies, they would in return get a reliable buffer separating Poland from Russia. By partial recognition of its responsibility for the events that took place in the histories of Lithuania, Ukraine and Belorussia in the era of these people finding themselves under the scepter of the Polish kings, the Poles hoped to eliminate the causes of hostility to them from the Lithuanians, Ukrainians and Belarusians. During the collapse of the Soviet Union, Warsaw officials were guided by the principles of the ULB Doctrine. National and even nationalist movements in these republics received the full support of Polish diplomacy, and the Giedroyc thesis was erected on a podium, where it remains today. 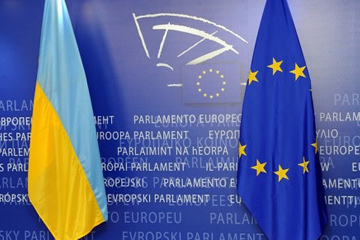 The opposition speeches in Kiev following the suspension of the process of signing an association agreement between Ukraine and the European Union, was perceived by Poland through the prism of Giedroyc’s ideas. Despite the abundance and availability of ultra-nationalist slogans and the number of members of neo-Nazi groups represented, Warsaw spoke words of support in favor of the Kiev Euromaidan, and Polish diplomats frequently visited the Ukrainian capital. This was perceived ambiguously by Polish society, and the appearance of Polish politicians on the streets of Kiev next to the leader of the ultra radical “Freedom Party” Oleh Tyahnybok, caused many issues to be raised, including, if it is worth following Giedroyc’s doctrine. In recent years an increasing number of Polish intellectuals have been calling for its revision, and rejecting the idea of its perfection geopolitically (1). To this extent there are proposals to topple him from his pedestal, just as the “euro protesters” did in Kiev to Lenin’s monument (2). Giedroyc’s political vision was not without flaws. The expectation was that a half-hearted repentance by Poles for a past anti- Polish–Lithuanian Commonwealth would reduce the intensity of nationalist rhetoric in the ULB countries, was not justified. Giedroyc’s editorial policy was extremely tolerant towards manifestations of nationalism, and the refusal of his literary political journal “Kultura” to print articles denouncing the ideology of Ukrainian nationalism (in particular, articles by the Ukrainian- Polish historian Viktor Polishchuk) did not lead to anything but a sense of impunity among those who professed this ideology. Tolerance of Ukrainian nationalism in the Polish intellectual elite, was focused on Giedroyc and his “Kultura”, and instilled confidence in the nationalists themselves in the intellectual legitimacy of their views. Later came disappointment and an understanding that being anti-Russian does not mean that you are pro-Polish. One of the first victims of the nationalist idea in Lithuania, Belarus and Ukraine was the Polish culture and Polish historical heritage in these lands. In post-communist Poland's political tradition, Kiev’s rapprochement with the EU is seen as a step towards the implementation of the Intermarium Doctrine. The main advantage of this foreign policy concept in Warsaw is its flexibility and ability to be in harmony with the larger ideological constructs. Therefore, the doctrine which is imposed on Intermarium liberal ideology, of an open society, and the expansion of NATO and the European Union, form part of these projects. Any movement towards the west by Kiev is seen as another achievement in the implementation of the Intermarium Doctrine, including recent attempts by the Ukrainian opposition to prevent Ukrainian rapprochement with the Customs Union (3). The failure of the Ukrainian authorities to sign an association agreement with Brussels means a rollback for Poland to its previous geostrategic position, and in the long term perspective, allows for new attempts to move closer to the final stage of the Intermarium Doctrine. So, for Poland, Ukraine’s foreign policy is part of a broader geopolitical project being implemented by Warsaw, which sees the ultimate goal of creating an ABC block. Even if Kiev does not officially take any steps towards Warsaw, Warsaw is at last reconfiguring its eastern policy, taking into account the political realities in the Ukraine. Ukraine has always, passively or actively, been present in the Polish foreign policy vector. The Polish always look at this country through the prism of the Intermarium Doctrine, the main provisions of which are adjusted to the regional nuances of Poland’s European policy. Keywords: Poland, Ukraine, Intermarium Doctrine, EU association agreement. 494: 30 seconds to mars. The Intermarium Doctrine and Ukrainian Integration with Europe11 March 2014: The Intermarium Doctrine and Ukrainian Integration with Europe! лучшие комедии. The Intermarium Doctrine and Ukrainian Integration with Europe.